The book offers a valuable resource for students and statisticians whose work involves survey sampling. An estimation of the population parameters in finite and fixed populations assisted by auxiliary variables is considered. 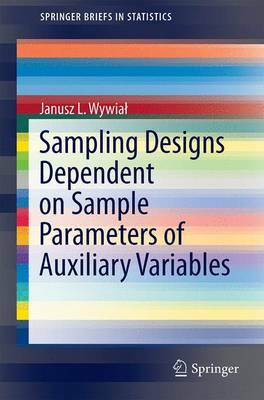 New sampling designs dependent on moments or quantiles of auxiliary variables are presented on the background of the classical methods. Accuracies of the estimators based on original sampling design are compared with classical estimation procedures. Specific conditional sampling designs are applied to problems of small area estimation as well as to estimation of quantiles of variables under study.